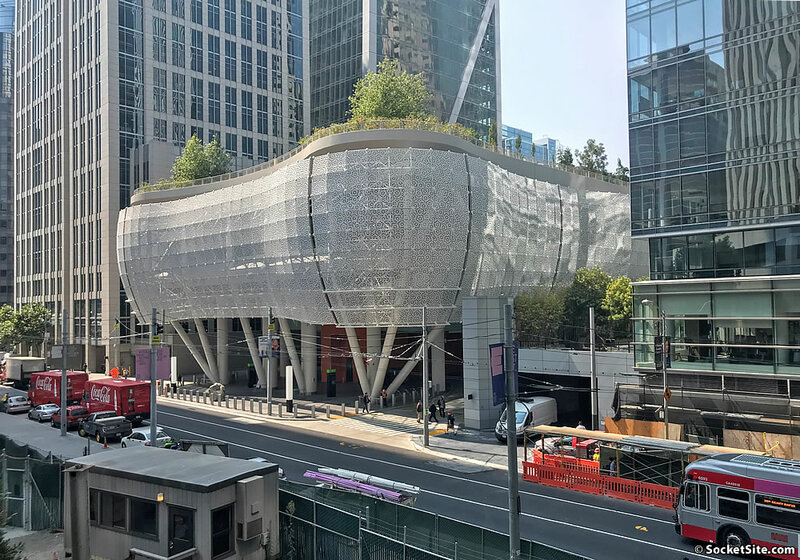 The draft findings as to what caused the cracked beams which suddenly closed San Francisco’s brand new transit center are slated to be delivered to the Bay Area’s Metropolitan Transportation Commission (MTC) by December 17 along with a draft repair strategy and proposed fix. But with a peer review concurrence of the findings and proposed plan not expected to be reached until early January, after which the agreed upon fix will be implemented and a new structural evaluation will need to be performed, the Salesforce Transit Center will definitely remain closed through the end of this year and likely through the first, if not second, quarter of 2019 as well. In other words, they know what’s going on but need a lot of time to figure out how to spin it. That’s not what this means. When you’ve gone through a lot of time, money, and embarrassment you really want to make sure the fix is going to work and that nothing else is wrong. No doubt they want to get it right. It is a heck of a thing to screw up and embarrassing for a lot of people. But I bet a transbay bus fare that it will be like the Bay Bridge, no one in local government will be found at fault, and it will be spun as ” unforeseen circumstances” or some such prevarication when it’s just incompetence. 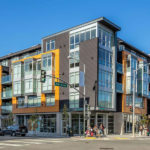 Money that should have been spent on undergrounding Caltrain or adding more AC transit buses will get reallocated to fixing this problem, and there will be another bond issue in 2020…. Well, most of what I’ve heard has suggested that defective steel may have been the cause. And, to whatever extent engineers failed to leave enough margin for error to cover possible defects, those engineers were not public employees. The Board definitely deserves a lot of blame for the gold-plated design, the incredible delays, and the massive cost overruns, but defective steel is really a problem with the manufacturer and bad structural design really falls on the structural engineers. The project has been a bit of a mismanaged boondoggle, but I think the blame for this one problem largely does not fall on the Transbay Board. I predict the steel manufacturer will declare bankruptcy, the CEO will get a $200 million golden parachute, and the taxpayers will be responsible for 100% of the cost. After all, these are the same politicians who chose the Hines proposal because it offered twice as much as the others, and Hines ended up paying only half of their proposal lol!! Glad I’m not an SF taxpayer any longer. Shouldn’t government engineers who are public employees checked the work of those engineers who were not public employees? Shouldn’t those same government employees be checking for defective steel BEFORE it is installed? We have a lot of people in CA government who do not do the jobs we explicitly pay them for. Instead – they push the blame onto the contractors – deserved or not – and then wash their hands of responsibility. That’s not governance – that’s graft. Americans really don’t do infrastructure right anymore, do they? Infrastructure projects have become more complex in the recent decades; not because of new engineering challenges (that’s actually simpler thanks to CAD), but instead due to effects and impacts on adjacent concerns. You can’t just design a dam to plug up a river and build it anymore. There’s outreach required to reach consensus now. Most of it makes sense: that dam can’t displace the people without some sort of mitigation to make them whole. And it can’t force endangered species into extinction. Or endanger people living downstream. Though the expanded scope of big infra generally results in the greater good it also has emboldened parasitic individuals and organizations to tack on their laundry lists of requirements, all of it completely legal. So the railway planned to cost $40B gets inflated to $80B when the grabbing hands start reaching into the pot for a chance at “their share”. The result is what was once a focused engineering and construction effort gets sidetracked, continually redesigned, distracted, and thwarted by the parasites. The project’s momentum is broken and proceeds in fits and starts, prone to error as the blueprints keep changing. Project management’s attention is split between lawsuits and operational inefficiencies. In the 1970s there were Luddites known as “monkey wrenchers” who literally would hobble projects by vandalizing machinery. That was illegal and the antagonists were motivated by altruism. These days we have the same monkey wrenchers but this time around they’re legal and in the open. Instead of a 24″ spanner they’ve got a 24″ stack of CEQA complaints. And they’re motivated by personal gain. Well this is likely a valid rant for large projects in general but unlikely the culprit here. Yeah!! the nerve of some people not being happy at taking 40c on the dollar in a condemnation so that their betters can get to their vacation spot a little earlier..or whatever. But like ‘kfish’ I fear you’re wasting a good rant on the wrong milkshake: either this was a design flaw, or defective materials/workmanship…Luddites and bureacrats seem to have little to do with it. I don’t know why they can’t at least open the rooftop park even if with some restrictions upon movement. There’s an abundance of caution… then, there’s paralysis of fear. With a major part of the building in danger of collapse, it’s not going to be easy for anyone to say that any part of the building is safe. Now that the temporary shoring is in place, there probably is no danger, but until they have a peer-reviewed consensus as to the cause of the failure, they can’t say that the shoring addresses the problem. It looks like the steel was so defective and the margin for error so small that it failed quickly, despite never having suffered any significant earthquake, but that’s a pretty surprising thing. That steel that failed almost immediately was designed to hold the building up for 50-100 years with repeated shaking (and chances for small cracks to start and propagate) by major earthquakes with a margin for error. You want to be pretty sure before you say that the steel is the only problem and that the loads aren’t radically higher than expected. Once they convince themselves that they’re sure they understand the loads and stresses on these beams and that nothing is wrong with anything but the beams, they could probably make a good assessment of whether the temporary shoring eliminates the risk of failure under normal circumstances. If it does, which I suspect it does, and it doesn’t create any risks of failure elsewhere, about which I have no guess, they could reach the question of whether the shoring is stable under earthquake conditions, which I suspect might require a little additional work. Then, if they were really sure they got all of this right, they could reopen the whole building, except where construction was ongoing. But they’d basically be doing a full engineering study of a new building (the original building with cracked beams and shoring in place) and of that same new building during all stages of the repair. And they’d be doing that after badly screwing up on making this a safe building on the first place. And unlike the Bay Bridge after Loma Prieta, the actually is basically zero need for the building to open. The temporary terminal works great, possibly better than the permanent one. The need for one building to put buses, CalTrain, and high speed rail under one roof doesn’t exist until at least one of those rail lines reaches it. So, will they put the necks on the line just to open a cool park and not look like fools for quite so long with their $2.2B building closed for repairs? I doubt it. Why are you so sure it was the quality of the steel and not the design or workmanship? It could be that the load was calculated incorrectly, or that the plans were wrong or not followed correctly. I had jumped to the same conclusion, probably influenced by the steel stock related problems on the Bay Bridge east span bolts ($20M for a temporary fix!) and the wrong steel being used for the Central Subway railway tracks. But lets wait and see what the real cause here. As for the load miscalculation hypothesis: I hope the engineers took into account the weight of the water for the rooftop park. twas the best of times. Good things come to those who wait. This essentially delays it’s open for another 6-9 months (think of the previous party as a “soft opening”). Wonder what went wrong – was it materials, installation, settling, a design flaw? Will the political process let us know, or will the true cause be kept opaque? it ain’t gonna fall over so whatever they come is basically cosmetic. glad to hear the homeless and raccoons will have a nice residence for the holidays. Yeah. I’m pretty sure this building was well on its way to colapse when these cracks were found. The thing about cracks is that, the bigger they get, the weaker the remaining part of the beam gets and the more prone to cracking it is. The was no other substantial support for this span other than the beams. In a best case scenario, there would have been a partial collapse to provide warning and time to evacuate before the complete collapse of this part of the building. And MAYBE the rest of the building would have been salvageable (after a few years of repair). If enough people died, the biluilding would probably be demolished even if it were technically salvageable. No evidence whatsoever to support this assertion. Maybe try not stating uneducated guesses as fact. if a couple cracks could condemn a building most of the buildings in SF would be condemned, especially the Millennium Tower. Cracks schmacks. Stucco, repaint, done. That’s correct. Simply the section spanning Fremont Street, including the rooftop park, bus deck and terminal facilities. From what I’ve read so far, it seems likely they’ll have to replace the cracked beams because they are not now adequate to reliably hold up the structure. And also from what I’ve read, it’s not that the steel was defective or the design bad but that holes were cut in the beams during construction that weakened them. I have no idea how difficult replacing these beams is but it doesn’t seem it would be simple. They must be really big holes to affect the strength of the beam. Usually the small holes cut to allow pipes and conduit to pass have negligible impact on beam strength. Notching on the other hand can weaken as well as providing a starting point for a crack. In fact, enhanced photos appear to show at least one of the cracks started at one of those sharp-edged corners. Normally, such edges would be rounded to prevent stresses from being concentrated at the corners, the engineers say. It is not clear why the corners were not rounded in the Transbay project or what was their intended purpose. Deja Screw(up). Shades of the infamous Comet disaster. Holy smocks! Not only notching, but square notching, That’s the worst kind. Amazing that such a flaw could escape the notice of several professionals. It’s worse than that. These were supposed to be weld access holes. The construction team had already welded without them but the project management team insisted they be cut anyway. So a square hole that was not required was then cut into the flange. It is still possible that this entire thing could collapse. Just rest on that thought.